EMF has released its 2017/18 Annual Report, with an electronic version available online. 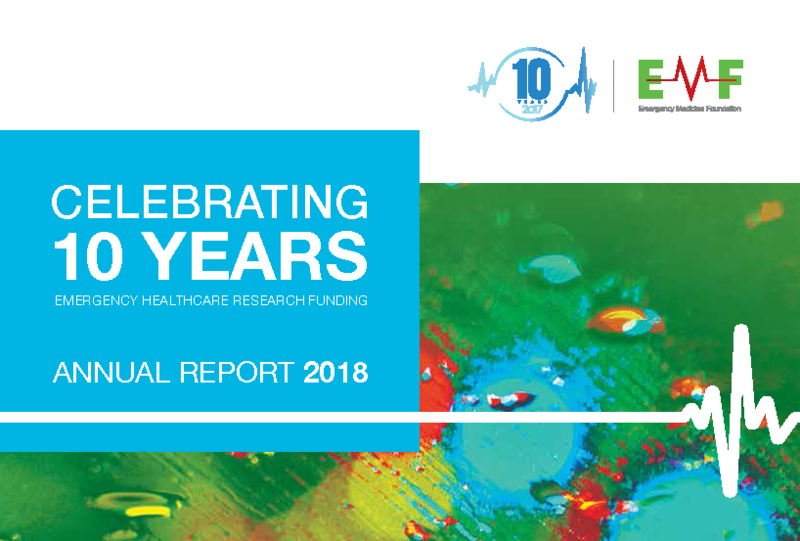 The Report provides an overview of EMF’s activities during the year as well as key outcomes from funded research. It also highlighted EMF’s 10 anniversary and a decade of funding emergency healthcare research in Queensland. 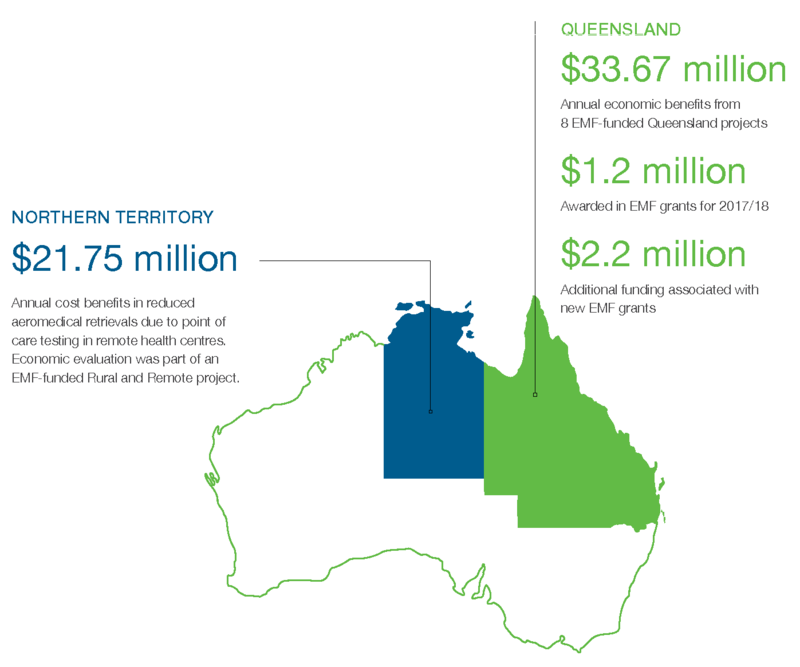 Since its launch in October 2007 and June 2018, EMF has awarded 154 grants worth more than $14.4 million through our Queensland and Rural and Remote research programs. We have also committed a further $2 million in developing and rolling out a Research Support Network (RSN) in Queensland. EMF Chair, Dr Anthony Bell said EMF’s research programs have enabled Queensland emergency medicine clinicians to develop into some of the world’s leading researchers. “They are delivering real solutions for the chronic demand on the country’s emergency departments and emergency responders. They are also improving patient care by stimulating the translation of evidence to clinical care areas such as chest pain,trauma, aged care and paediatrics,” he said. > 12 final reports: two of these projects led to key clinical changes for diagnosing haemorrhaging in trauma patients, which resulted in the Queensland Ambulance Service and four major trauma hospitals adopting new diagnostic devices.